With the state attorney general expected to weigh in on a pipeline lawsuit challenging the Massachusetts Constitution’s protection of conservation lands, area officials are calling for a vigorous defense of open space. Pointing to Tennessee Gas. Pipeline Co.’s suit against the state over a proposed natural gas pipeline through state-protected forest in Sandisfield, state Rep. Stephen Kulik said Friday he plans to call for the Massachusetts House to file a “friend of the court” brief in the case. He said the constitutional provision, called Article 97, will also likely come into play in the controversial Northeast Energy Direct pipeline through eight Franklin County towns. The pipeline company asserts that its Federal Energy Regulatory Commission approval for its Berkshire County route supercedes the state’s constitutional protection of conservation land there. TGP had hoped the Legislature would grant a waiver from Article 97 to allow the 13.42-mile-long pipeline through Sandisfield, which was approved a week ago by FERC. The energy giant sued one day after a Massachusetts legislative committee put that Article 97 waiver request in a procedural graveyard. Such a waiver requires a two-thirds vote by both legislative branches to re-designate protected public land for other use. The TGP suit, filed in Berkshire County Superior Court, seeks eminent domain of 21.5 acres in Sandisfield, with easements in the affected part of Otis State Forest. The suit came even as Sandisfield residents formally appealed FERC’s approval for the project — pointing out that the state’s constitutional issue and federal water-quality permits had not yet been settled. Kulik addressed a group Thursday night participating in a Sugar Shack Alliance protest walk against the pipeline, advising the group, trained in direct action to focus on the Sandisfield issue now, although he stopped short of calling for civil disobedience. Although he said it’s probably good to have the question raised and resolved over the Sandisfield case rather than waiting for it to surface on the NED project, FERC is now reviewing the pipeline route through Plainfield, Ashfield, Conway, Shelburne, Montague, Deerfield, Erving, Montague, Northfield and Warwick. Asked about the AG’s plans in the case, a spokesman said the attorney general will be defending the state and the Department of Conservation and Recreation in this matter and plans to file an opposition prior to the hearing. A hearing on TGP’s case seeking to exercise eminent domain over the land in question is scheduled for March 30. There is a March 31 cutoff under the federal Endangered Species Act to protect migratory birds that use the trees for spring nesting, although the company has asked the U.S. Fish and Wildlife Service for that deadline to be extended until May 1. In its court filing, it seeks authority for condemnation by April 15. Monroe County farm family wins fight vs. big utility and state – The Daily News Online: Lifestyles. Pipeline firm is offering landowners a raw deal » Guest Column » The Daily Star, Oneonta, NY – otsego county news, delaware county news, oneonta news, oneonta sports. Surveying has begun for the Emkey pipeline that will interconnect the east-to-west pipelines below and above Chenango County. This phase will involve a transmission line from Preston through Smithville, Oxford, Coventry and Oxford, as well as Colesville in Broome County (map attached). As in the case of the “Constitution” pipeline project – which runs through Afton as well as Broome and Delaware Counties- local pipeline shills are lying about the effect of these transmission lines, which will increase the likelihood of hydrofracking in these and adjacent towns, with all of fracking’s infrastructure of unregulated gathering lines and compression stations. Together with the Compulsory Integration of unleased properties into Drilling Units, Eminent Domain provides a tool for gascorps to leverage the acquiescence of a few large (often non-resident) landowners into a public policy that favors irresponsible corporations (and to a lesser extent, those large landowners) at the expense of residents with modest properties. If you are in the path of the pipeline, the attached letter from Bob Lidsky (copied below) deserves your careful reading. Even if you are not directly in the path of the pipeline, you should understand the pressures that gascorp brings to bear on our neighbors in the line-of-fire, and be ready to support whatever resistance they can offer. To learn from the resistance to the “Constitution” pipeline, see http://www.stopthepipeline.org/. Please forward widely. And stay in touch. the top, which has a gradual enough slope to build a home. if built would render my property, un-buildable, un-mortgage-able, uninsurable, and nearly worthless. politics of pipelines and eminent domain. SIGN-OR ELSE! What should I do? contract to do business with them. their easement under federal law by utilizing eminent domain. actually happens in Eminent Domain. them on face-to face. So I met with the Right of Way agent for Constitution. there were numerous sightings of surveyors by my neighbors. could site a home. He replied that the route is non-negotiable. implied it could be negotiated. We discussed the planned access road just to the north of my property line. just next door, but also with others. right to sell or assign to anyone. Who will be the responsible party? with some higher-ups and get back to me. He has not contacted me. limits for liability, if the property was insurable at all. He gave no response. absolutely use it if I didn’t come around and sign. nothing. He had no answer. He said he would get back to me. He never has. bargaining tool, but it can be put to good use against them. 1) Only gas can be transported, no tar sands or other liquids. 2) No future pipelines or other utilities will be allowed. 5) FERC�s mandate is to listen to landowners. TELL THEM TO TAKE THAT EASEMENT BY EMINENT DOMAIN. 1) It begets drilling. The EPA’s new rule, known ironically as “green completion,” requires that connection to a pipeline be in place before drilling can occur. Drill sites along this pipe will be the first ones targeted for development, and will spawn a network of gathering lines. 2) It industrializes rural areas. The pipe would start with two compressor stations, but eventually, stations will be needed every 40 miles. Air quality will go from “clean country air” to smog-filled ozone alert days such as Wyoming is experiencing. “Cracker” plants will feed off the pipe and beget plastics factories and subsequent additional toxic waste. As with Minisink, new gas power plants feeding off the line can be expected as well. None of these inevitable impacts are considered by FERC. 3) It devastates habitats. The route would travel through pristine forests and wildlife areas; cross numerous bodies of water; and create erosion risks by clear cutting steep slopes. 4) It enables eminent domain. If builders get FERC approval for the project, land will be taken against the will of landowners. 5) It hastens climate change. Lke all pipelines, this one can be expected to lose 9-12% of its volume in transit. With the planet already past 400ppm, we cannot afford to release any more methane, a greenhouse gas up to 105 times more powerful than CO2. Do you know about the proposed new pipeline? The real name is“Millennium Phase-1 North-South Upstate Pipeline Connector” … but we call it the “I-81 Pipeline”. SUNY Downtown, 9 Main St. Cortland. Technical experts in geology, ecology, hydrology, energy policy, GIS, mapping, education, communication, social media, PowerPoint and other presentation skills, research, writing testimony for regulatory agencies as well as people who can help inform local communities, landowners and government officials of the implications of a pipeline. If you have concerns, there is a place for you in this endeavor! Several key projects are hitting all at once: The Constitution Pipeline, the Liberty LNG Port, and the Minisink compressor station all face mid-month deadlines. These are but three of the 24 gas infrastructure projects currently planned for New York State. The LNG port alone could change the landscape for New York and the tristate area by opening up the potential for a local export facility. Maps of proposed route by town Maps of the proposed pipeline through the Tully Valley and down the 81 corridor are now available, thanks to Karen Edelstein. 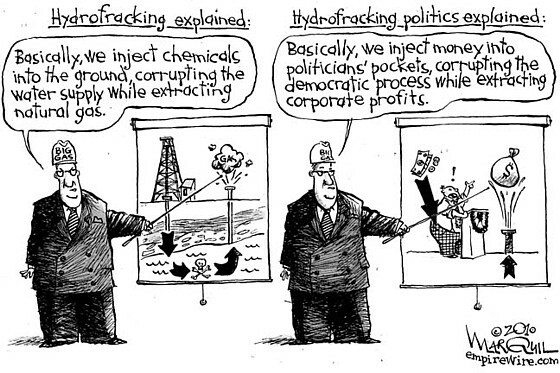 Pipelines = Fracking. The new federal fracking guidelines include an provision for no venting or flaring of gas at drilling, so pipes have to be in place before wells are drilled. This lays the infrastructure for expanding the extraction of methane to more communities. Pipelines = Eminent Domain. A taking of your land “for the public good”. Learn about what this means. Pipelines = Danger. From the PHMSA Pipeline Haz. Materials and Safety Administration – last decade 5600 fires and explosions and almost 400 deaths in the US alone from ‘significant’ pipelines incidents. This does not count leaky pipes and ‘minor’ breaks resulting in dangerous incidents. Pipelines = Compressors Compressor stations are required every few dozen miles, and compressor stations outgas toxic gasses continually and have proven to be more dangerous to live near than wellpads. This 24″ (at least) line would require large compressors to push the gas through, running 24/7 and outgassing known carcinogenic volatile organics that airborne, ultimately end up in the water, soil and our food. We have to get on top of the convoluted and segmented permitting process, to gather a voice against the further investment in unconventional gas and oil development. We need all hands on deck for this. There is work to be done so this ‘proposal’ does not become a reality. Provides information on participating in the FERC process, a discussion of preemption and federal eminent domain, flow charts showing the stages of the FERC process and sample forms for intervention. May 17, 2012. Ithaca, NY. Free Twenty interstate natural gas pipeline systems crisscross the region from West Virginia to Maine. As gas drilling operations expand, thousands of miles of new pipelines will be needed to connect existing pipelines to gas wells. Learn the difference between gathering, transmission, and distribution lines; what agencies have jurisdiction over the various types of lines; how pipelines are permitted, regulated, and monitored; and how municipalities can prepare for an increase in pipeline networks. Presenters: Sharon Anderson, Environmental Program Leader, Cornell Cooperative Extension Tompkins County; Jim Austin, Environmental Certification and Compliance, State of New York Department of Public Service; Deborah Goldberg, Managing Attorney, Earthjustice Northeast Regional Office; Meghan Thoreau, Planner, Southern Tier Central Regional Planning and Development Board. Co-sponsored by Cornell Cooperative Extension Tompkins County and Tompkins County Council of Governments. Pipeline Safety: Updates to Pipeline and Liquefied Natural Gas Reporting Requirements: A Rule by the Pipeline and Hazardous Materials Safety Administration on 11/26/2010 . Know Your Rights When An Interstate Pipeline Comes to Your Community Provides information on participating in the FERC process, a discussion of preemption and federal eminent domain, flow charts showing the stages of the FERC process and sample forms for intervention. Firming Renewable Electric Power Generators: Operators and Challenges for Natural Gas Pipelines. The INGAA Foundation, Inc. Mar. 2011. This summarizes a major report on what sorts of pipelines may be necessary for nat gas to serve as a “firming/backup to intermittenet wind/solar renewables. It is 220 pages and seems to have a lot of good stuff in it. The issues are interesting in that “excess capacity (15%) pipelines may be necessary in order to allow veryfast ramp up of the backing/firming nat gas generation. This raises to issue of the cost of such excess capacity and who pays for it – think subsidies. Similar Pipes, Different Rules | Philadelphia Inquirer | 12/12/2011. Pipeline Investigation: A big firm moves in; landowners face new types of shale leases. Finger Lakes Gas Storage and Infrastructure Project. Salt Caverns, Watkins Glen, NY Even if no fracking occurs in NY, Inergy intends to turn our region into the gas storage and transportation hub of the Northeastern United states- the salt caverns are empty and waiting, the railways are in place, and we’re not paying enough attention to this! Inergy, LP (Finger Lakes LPG Storage, LLC) based in Kansas City is a pipeline and natural gas storage company with approximately 3,000 employees and annual sales of about $1.8 billion. Construct and operate a new underground LPG storage facility for the storage and distribution of propane and butane on a portion of a 576 acre site near the intersection of Rts. 14 and 14A in the Town of Reading. Construction of a 14 acre brine pond located on a steep slope just above Seneca Lake with a capacity of 91.8 million gallons. Construction of a new rail and truck LPG transfer facility consisting of: A 6 track rail siding capable of allowing loading/unloading of 24 rail cars every 12 hours 24/7/365. A truck loading station capable of loading 4 trucks per hour (with the possibility to expand) 24/7/365. Construction also to include surface works consisting of truck and rail loading terminals, LPG storage tanks, offices and other distribution facilities and stormwater control structures. Please refer to the “Resources” page for more detailed information on the project and its potentially devastating environmental consequences. To stay informed please join the Gas Free Seneca Listserv. Even if no fracking occurs in NY, Inergy intends to turn our region into the gas storage and transportation hub of the Northeastern United states- the salt caverns are empty and waiting, the railways are in place, and we’re not paying enough attention to this! Is a Gas Company a Utility? One of the things the Tioga County Landowners group has discussed in public meetings is the importance of making sure landowners have good pipeline leases – even if they don’t have drilling. The idea, I believe, is that by offering a way to get gas from well to major transmission line, the gas companies won’t be tempted to gain status as a utility which would allow them powers of eminent domain for the gathering lines. Well, here’s how Chief Oil & Gas got around that little hurdle in Susquehanna County, PA – they got permission to use state highway ROW. Not a good precedent for those who would like to lease pipeline routes, and for those who want to have no pipelines across their property. I was one of about 65 people in the auditorium of Windsor High School as officials of the Public Service Commission and Laser Northeast Gathering Company first gave their information presentations and then answered questions and listened to statements from the public. A 5 member Commission body, under Administrative Law Judge Howard Jack, will, at some point in the future, make a determination to either deny, grant with conditions, or approve the application to construct a 16 inch pipeline capable of carrying up to 170 million cu ft of gas per day. (Asked if the pipeline was being planned to serve more than the 18 wells stated in the application, Laser reps answered with the flow volume, and admitted that it could serve hundreds of wells. At the same time they said that the wells in PA that are now producing are not producing gas at a high rate.) Because the application is for a line that is less than 10 miles in length the PSC is not required under Article VII <www.dps.state.ny.us/articlevii.htm> to give the application its “full review”. Article VII was created in 1970 and actions under this law are not subject to SEQR (created at a later date). Neither does an Art VII certificate grant eminent domain or property rights. We were told that Laser has been working for a year with not only the Town of Windsor but with the 1700 member Windsor Landowner Pipeline Coalition to put the pieces in place for this project. Windsor has enacted road protection and noise ordinances <http://tinyurl.com/2fc3hau>. The landowners have negotiated contracts. Laser owns the 40 acre parcel for the compressor station. The audience asked questions about compressor station maintenance and noise, about emergency planning, odorizing the gas in the lines, depth under roads and rivers, and environmental protections during the construction phase. I asked several questions about maintenance and gas leak monitoring. The Laser reps told me that the station will be monitored closely and that they have the capacity to “count gas molecules entering and leaving the station”. They did Not say that the incoming and outgoing volume is balanced but said instead that it is “reconciled”. And no, they have never considered using infra-red technology to look for leaks. And No, the gas “is not required to be” odorized. There are 80 residences on the perimeter of the 40 acre parcel that will hold the compressor station. Several people asked questions about noise. The PSC standard is 40 decibels at any residence. The Windsor ordinance states: maximum noise levels “During daytime hours: ambient noise levels plus five (5) dBA. During nighttime hours: ambient noise levels plus three (3) dBA. Additionally, until demonstrated by the applicant or by the Town, ambient noise or sound levels within the Town of Windsor shall be assumed to be 35 dBA. Using the “Teacher’s Resource Guide” <http://tinyurl.com/c9zxdx > I find that they rate 40 decibels the noise level in a library. I asked if compliance with the Windsor ordinance is required under the Art. VII certificate and was told that “it could be”. During the public comment part of the evening, there were 7 presentations. Of those 7, 5 people lauded the Laser company for the wonderful job they have done in bringing this opportunity to the people of Windsor. Two people (one of them Deborah Goldberg) spoke for full review, no pipelines before SGEIS approval, cumulative impact study, and for tighter environmental protections. If you have gotten this far in reading you understand that the landowner coalitions did a good job of getting their members out to this hearing. The company reps did their usual job of talking slick. The PSC administrators need to hear from lots more people who want a full review (this pipeline will be much more than 10 miles in length when they get any of the laterals in place). Visit http://tinyurl.com/2bbbzby , and scroll down to the comment section. Pipelines are coming to your neighborhood folks! Do you want to live next to a compressor station with its attendant noise and air pollution? We need to make a larger stink than they plan to make or these things will be rubber stamped into place. Remember, they need pipelines to put the gas into before they drill. If the pipelines are here the drillers will come. Request full review. Request infra-red monitoring and odorizing of the gas. Request environmental protections and full cumulative study. 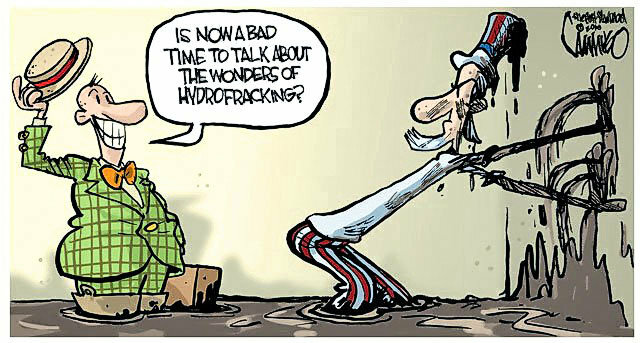 Fuel For Debate By Tom Grace Cooperstown News Bureau The Daily Star Sat Sep 25, 2010, Are gas pipelines dangerous? API & Gov’t Cited Safety Regulations Online Free, but you need to register to view the “read only” files. read-only version of the standard. Hard copies will still have to be purchased. The 160 standards that have been put online are just one-third of the standards authored by API, but the group says all of the safety-related standards have been put online. How to keep energy pipelines safe. By Donald F. Santa. Albany Times-Union. December 5, 2010. Map Gas Lines to Ensure Safety. Stan Scobie. Albany Times Union. Dec. 19, 2010. New York is a no-fracking zone—and many landowners are even losing money on gas flowing from other states. 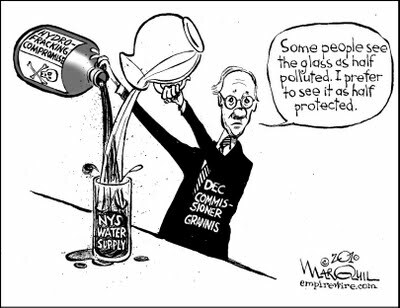 Last month the New York State Assembly voted to create a legislative moratorium on high-volume hydraulic fracturing, or fracking, until 2015 to further assess health and environmental concerns. The Senate may follow suit. The current executive moratorium has been in place since 2008. But outside of Albany, many farmers and landowners have welcomed the revenues that have come with the drilling of the Trenton Black River formation and would likewise welcome drilling in the Marcellus and Utica formations, two of the largest natural-gas deposits in the nation, which have gone underdeveloped in the state since 2008. During this four-and-a-half-year wait, many farmers in rural New York have gone out of business, the oldest generation has begun to die off and the unemployment rate has hit near record highs. In addition to being denied revenues from the oil and gas deposits beneath their feet, many New York farmers and landowners are also not being justly compensated for the pipelines running through their fields. Regardless of one’s stance on high-volume fracking, private companies should not be able to use eminent domain to seize land-use rights for pipelines at one price—deemed fair by the courts—only to turn around and sell those rights at a substantial profit. I first became aware of this abuse of eminent domain in 2008, when I was approached by a landowner seeking legal representation concerning a proposed natural-gas pipeline on his farm in upstate New York. He explained to me that a pipeline company had offered him around $5 per linear foot to purchase a perpetual right of way for a gas pipeline. At 1,200 feet of right of way, my client would receive about $6,000. After researching the issue, I discovered that the federal government and some Indian tribes—who by law are not subject to eminent domain—were not granting perpetual rights of way. Instead they were granting 10-year leases with rights of renewal and were charging rent accordingly. This approach seemed reasonable, so on behalf of the landowner I requested a similar arrangement. To my surprise we were roundly rebuffed by the pipeline company, which then broke off negotiations and delivered to my clients a letter offering $1,000 per acre for a perpetual right of way. At 30-feet wide by about 1,200-feet long, the total area amounted to about 36,000 square feet or 0.826 of an acre. In other words, the $6,000 offer had been cut to $826. The pipeline company’s attorney explained that his client had elected to exercise its right of “eminent domain” to condemn a perpetual right of way and that the $826 was the real-estate appraisal for the right of way. Pipeline rights of way are bought and sold on the open market by the linear foot among private pipeline companies, yet here my client was being offered a far lower price based on the per-acre value of the area to be used by the right of way. Valuing the right of way in this manner results in an extraordinary double-standard. Because a farmer can grow crops on the land again once the pipeline is in place, the loss to a farmer is deemed temporary and the land is worth, for all intents and purposes, the same before and after. Effectively the farmer receives a pittance for the right of way while the pipeline company enjoys a windfall of economic opportunity. Clearly, the real value is not in the land but in the economic opportunity the right of way grants to the business entity. How is it “just compensation” that the farmer should be paid a fraction of the acreage value of his portion of the right of way, when anytime after eminent domain the pipeline company could sell the farmer’s right of way on a linear-foot basis at a substantial profit? When the hammer of eminent domain is not available, the true market value arises. For example, in 2010 the 33-mile Laser Northeast pipeline, running from Susquehanna County, Pa., to the Millennium pipeline in Broome County, N.Y., did not have the right of eminent domain. The line is what is called a gas gathering line, which under New York law is not allowed the right of eminent domain. A coalition of landowners that I represented was therefore able to negotiate a 20-year right of way with a 20-year renewal. The landowners were given the option of taking a lump sum or annual rentals. The lump-sum totals were about $55 per linear foot for the first 20 years and $65 per linear foot for the second 20 years. For nine miles of right of way in New York State, the company paid around $2.6 million for the first term. Annual rental rates were $3.50 per linear foot, indexed for inflation. How did the pipeline company fare in this deal? It built its pipeline within a year for a total reported cost, including the rights of way, of $150 million. Last year it reportedly sold the rights of way and the pipeline within it for $750 million. The pipeline company did very well and the landowners were paid fairly. How would this compare if Laser Northeast had eminent-domain powers? It would likely have paid around $1,000 per acre for 32 acres, for a total of about $32,727. Which of the above methods affords just compensation? If New York state’s landowners must suffer the indignity of being denied the opportunity to develop their natural-gas deposits, they should at least be fairly compensated for the economic opportunity taken from them as other states’ gas passes through their lands. Mr. Denton, an attorney, is co-founder of the Landowner Coalition Movement in New York State. $750M gas line draws critics – Times Union. Filed under Pipelines, Regulation, Shale Gas Development-Hydrofracking Tagged with Delaware Co., eminent domain, FERC, hydrofracking, NY, pipelines, rte 88, Schoharie Co.